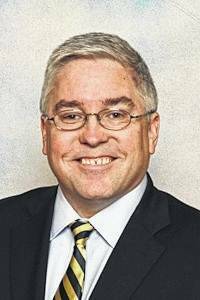 CHARLESTON — West Virginia Attorney General Patrick Morrisey reminded consumers to research and verify the legitimacy of their tax preparer as the April 15 filing deadline approaches. The Internal Revenue Service estimates more than half of taxpayers hire a professional when the time comes to file their return. The reminder comes as the Attorney General’s Office meets with and educates consumers on ways to protect their personal information as part of Money Smart Week 2019. Consumers should watch for phony or dishonest tax preparers who would jeopardize their personal information. Ask for the Preparer Tax Identification Number (PTIN) and check the U.S. Internal Revenue Service list found at https://irs.treasury.gov/rpo/rpo.jsf. Legitimate tax preparers will ask for records and receipts. Additionally, they will never ask a client to sign a blank tax return. If they suggest as much, it should raise an immediate red flag. Consumers also should make sure their tax preparer signs and includes their IRS Preparer Tax Identification Number. Federal law requires paid tax preparers to take both steps. Make sure the tax preparer has a valid IRS Preparer Tax Identification Number. Research tax preparers online and/or seek a friend’s recommendation. Make sure the tax preparer offers e-file. Anyone who prepares and files more than 10 returns for clients generally must do so electronically. Make sure the tax preparer will be available after filing the return should any questions arise about the filed tax return. Taxpayers who file through traditional mail should use caution, as tax identity thieves have been known to steal tax documents from mailboxes and send legitimate-looking emails to phish for personal information. Anyone who believes they are a victim of tax-related identity theft can call the Attorney General’s Consumer Protection Division at 1-800-368-8808, the Eastern Panhandle Consumer Protection Office in Martinsburg at 304-267-0239 or visit the office online at www.wvago.gov. Submitted by the office of Attorney General Patrick Morrisey.